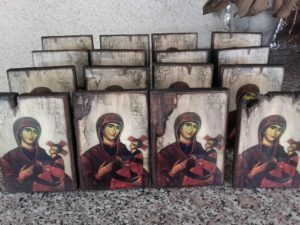 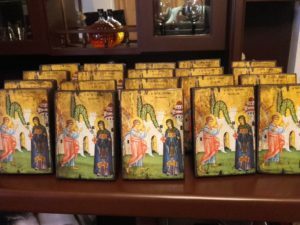 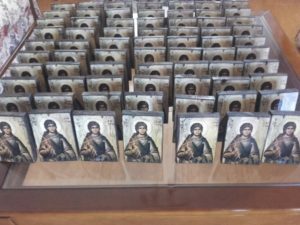 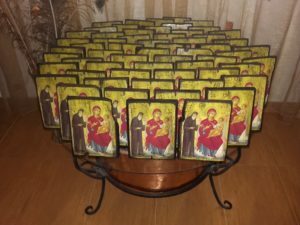 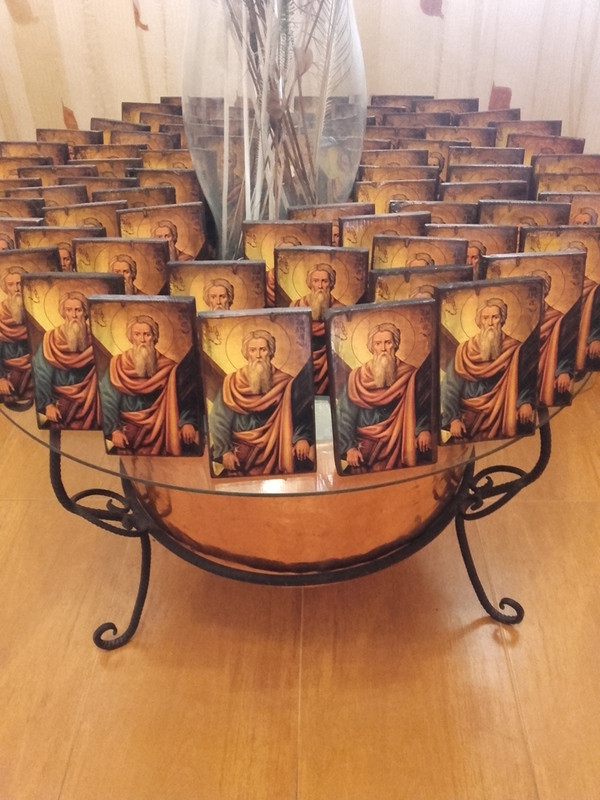 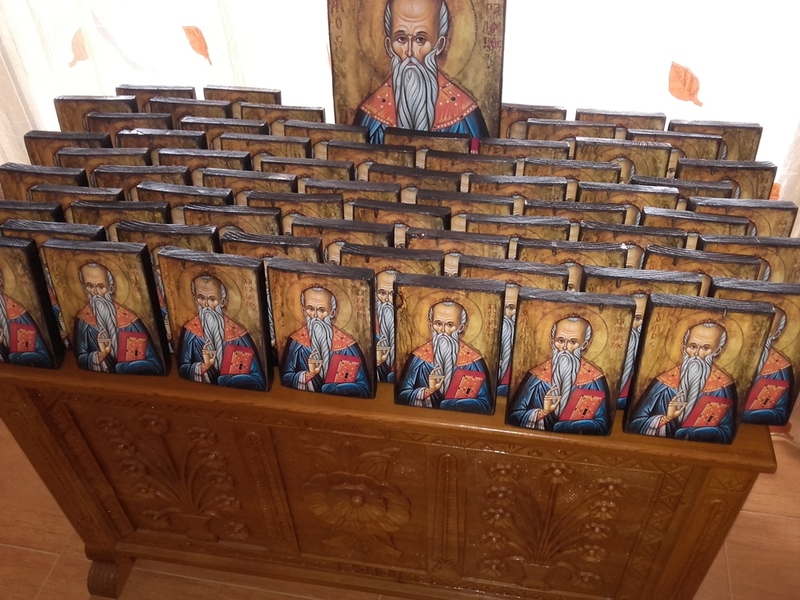 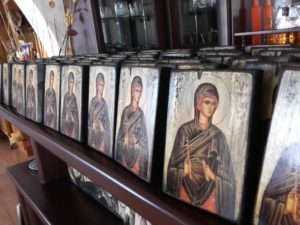 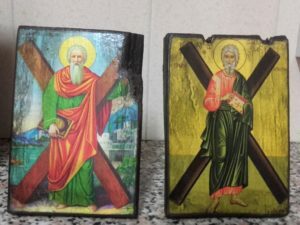 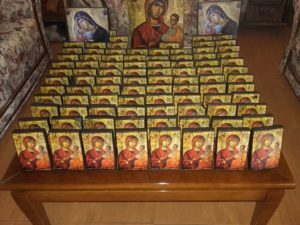 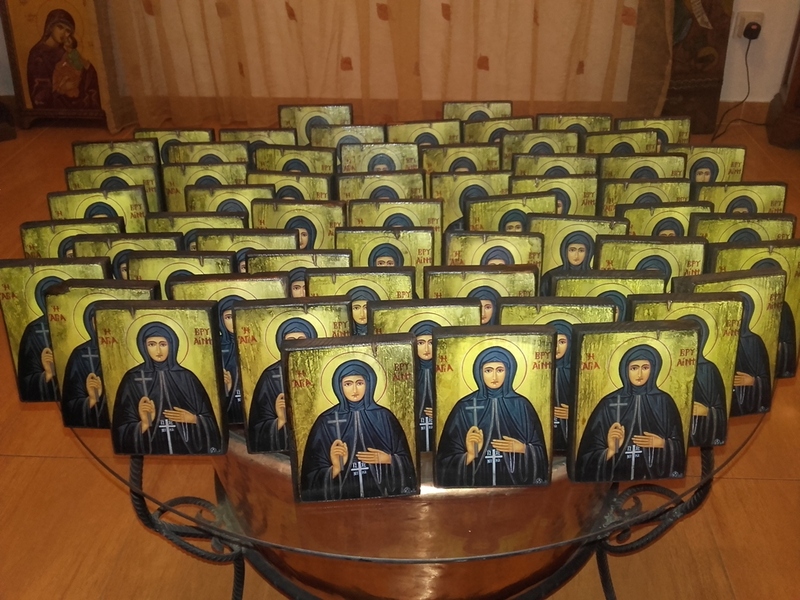 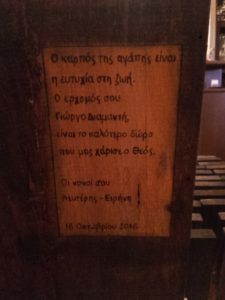 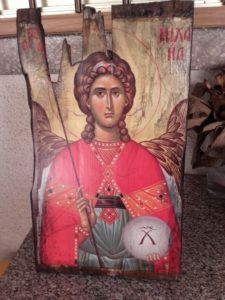 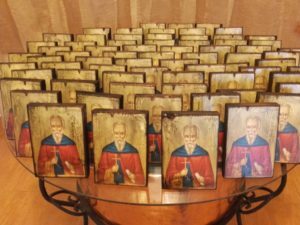 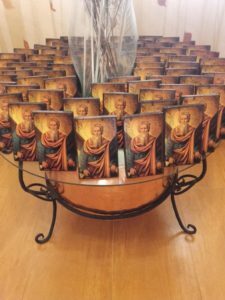 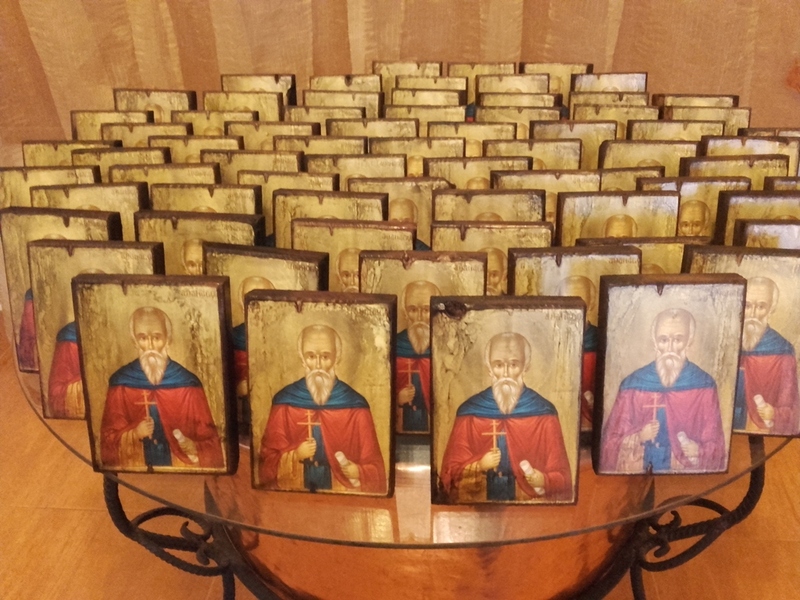 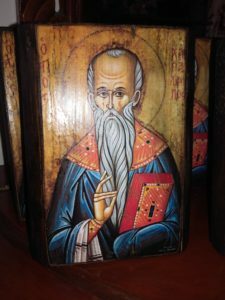 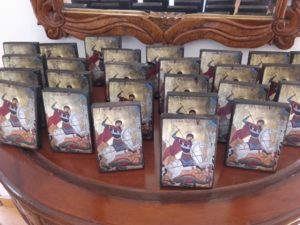 aged religious icons on wood - a unique gift for all occasions! 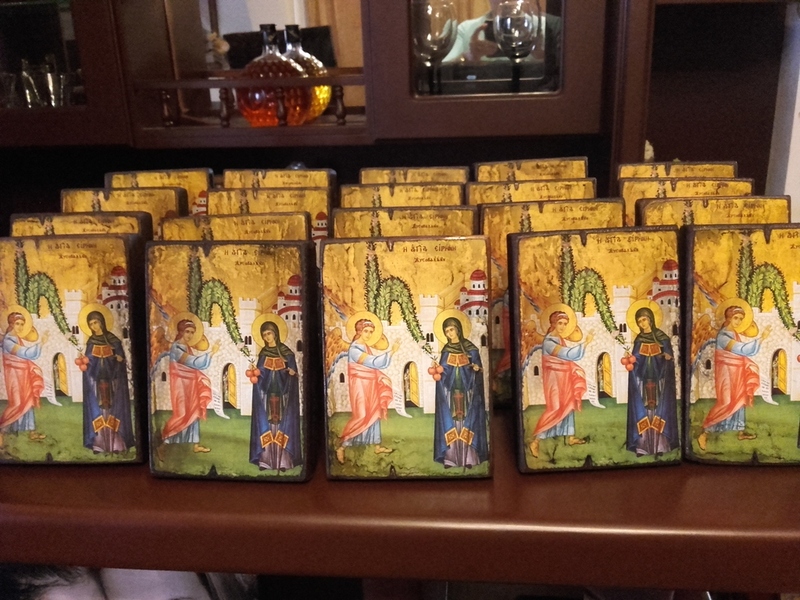 Aged religious icons on wood is a unique and special gift for any occasion.A gift that can last for ever. 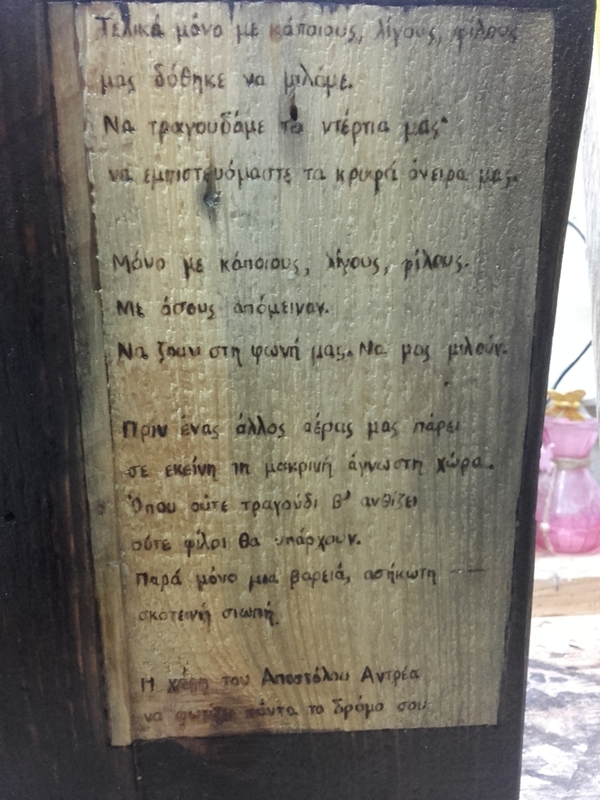 One special feeling reflects on wood with the method of transferring the icon onto wood. 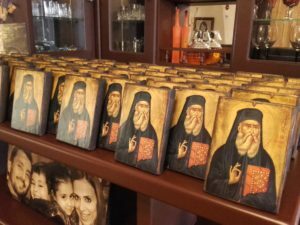 Express your feelings to your family and friends in a different and distinctive way. 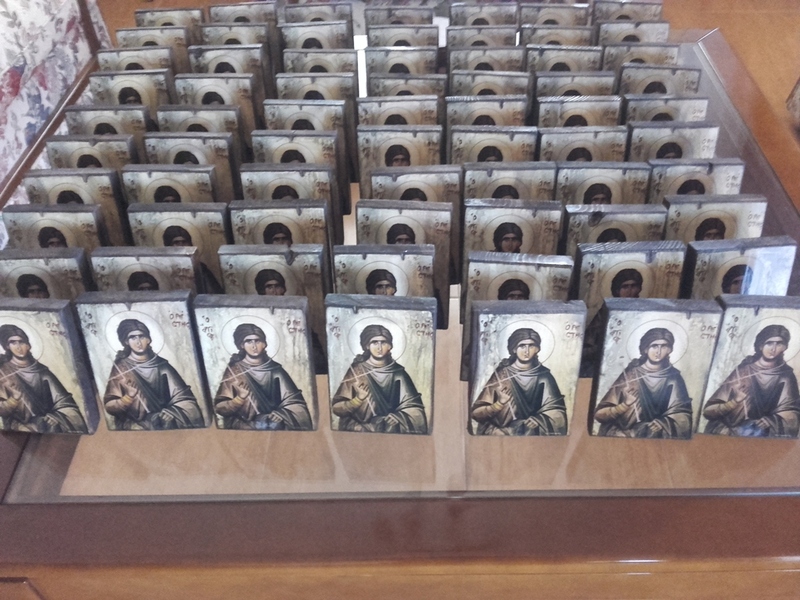 The most common dimensions used for the above purpose is 9x13cm, 20x30cm and 30x40cm. 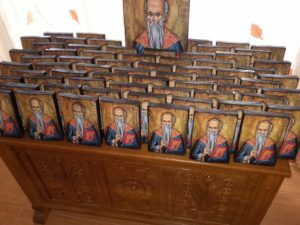 We are in a position of course to create and adjust to any size, according to type of icon and orientation. There is always the option to merge more than one icons on the same product. 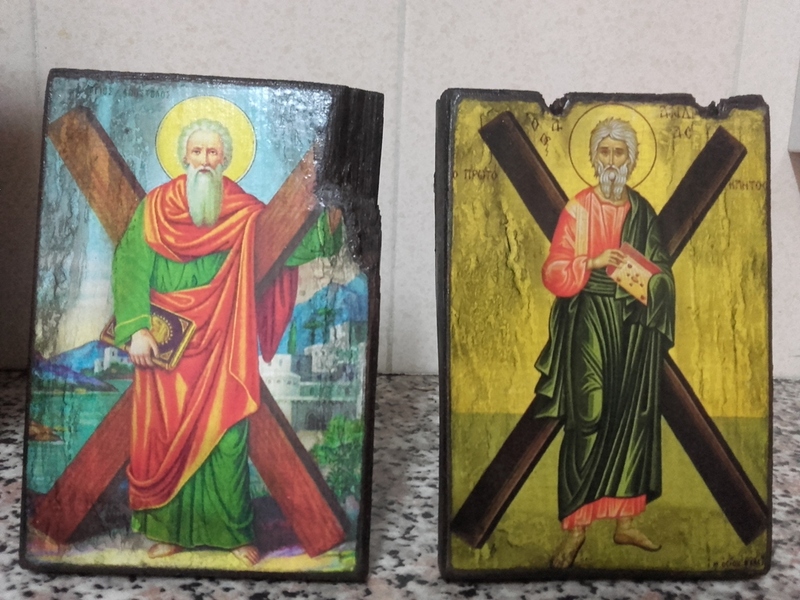 We mainly use white type wood for the aged icons crafts. 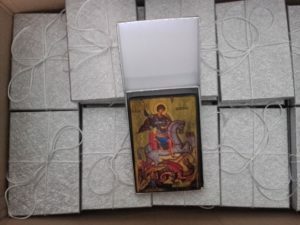 There are also cases, that clients supply us with unique and special material (e.g. 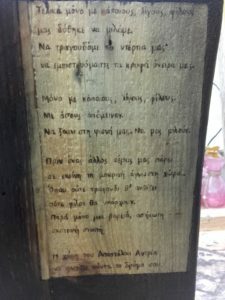 old doors or windows), thus creating unique outcomes due to emotional added value. In all the cases we will do our best to resemble an item that is worn through time, but still lasted. The outcome will be unique in every case. 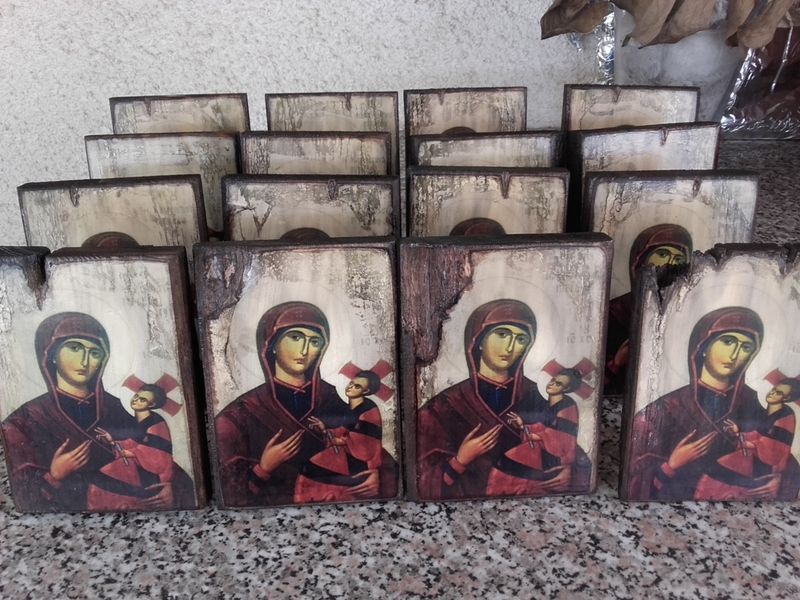 Aged religious icons on wood is a special gift for all life events. 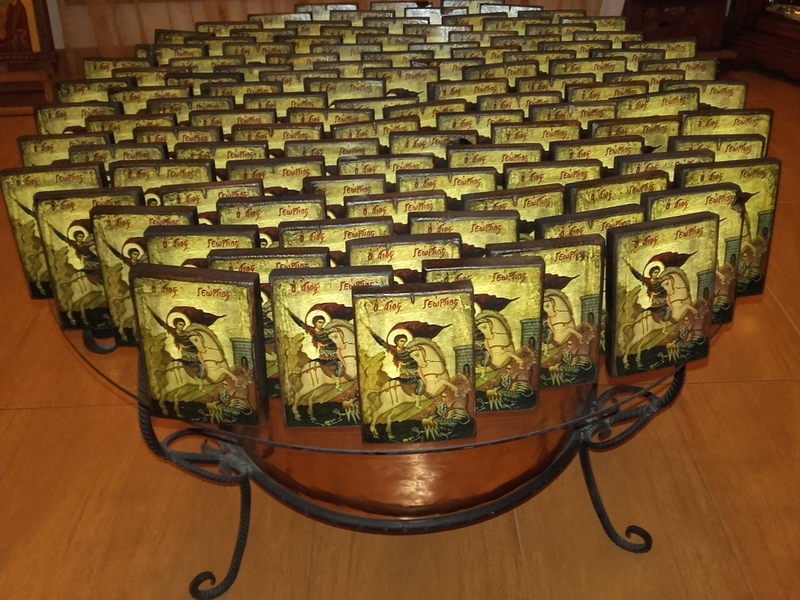 It can be a birthday party, a name day, an anniversary, a wedding or a christening. 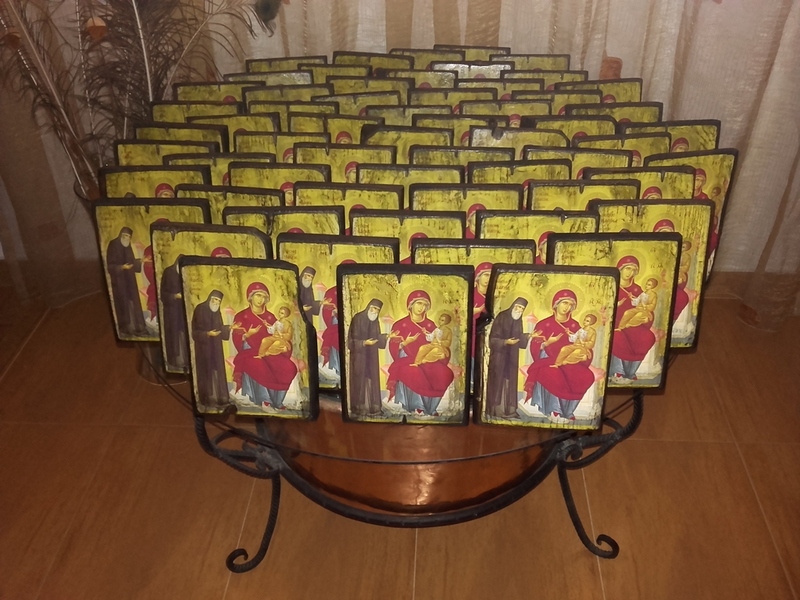 The smallest size (usually 9X13cm) is an excellent choice for wedding and / or christening bonbonniere. 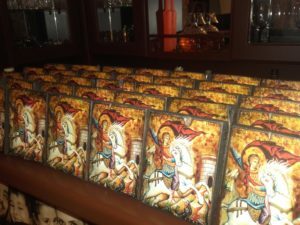 In general, it is a special gift, as the special feeling in your relationship! 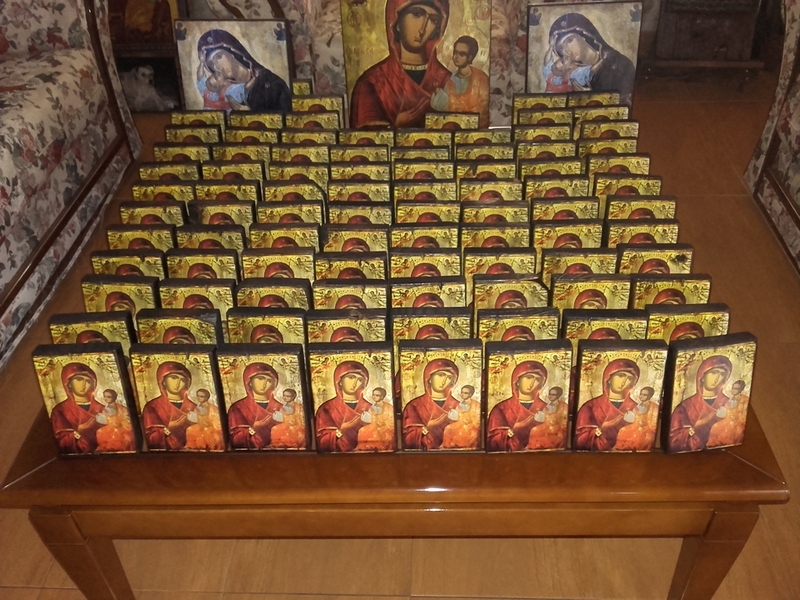 Below you can see a representative sample of our work. 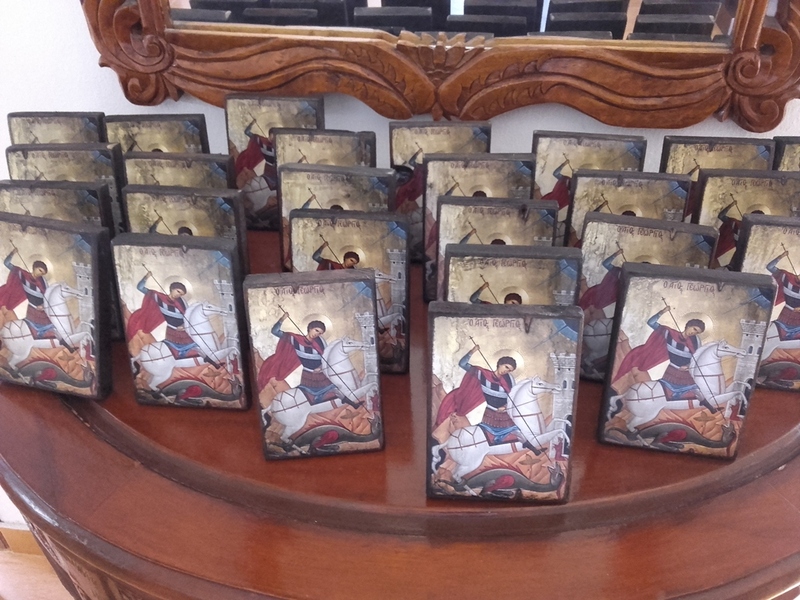 Do now hesitate to contact us for any inquiry you might have. If you wish to see more, you can Like Us on Facebook!